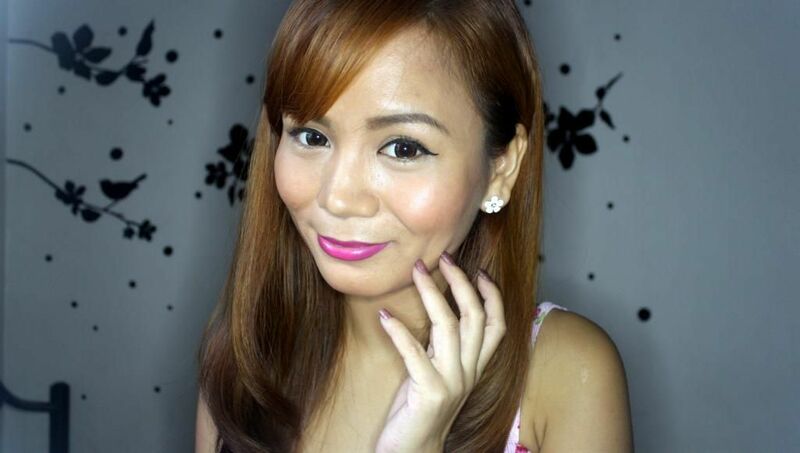 Real Asian Beauty: Belle De Jour (BDJ Box) Elite Unboxing and GIVEAWAY! 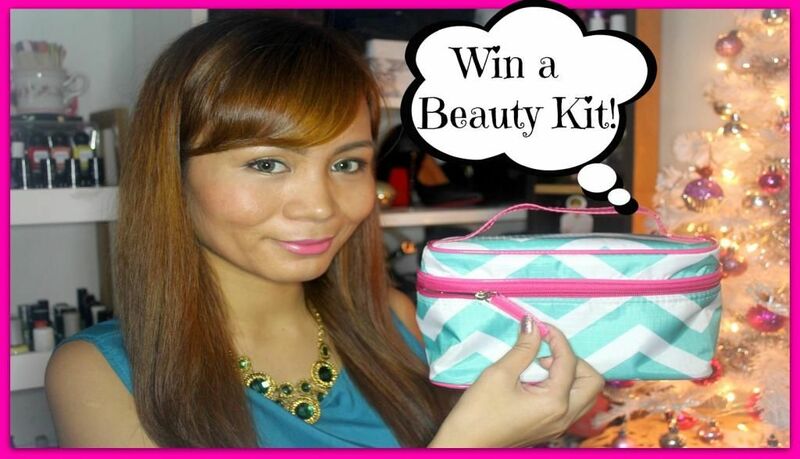 Belle De Jour (BDJ Box) Elite Unboxing and GIVEAWAY! Belle De Jour Box is my monthly source of beauty products. I don't even have to go to the mall to find out the latest in beauty anymore because BDJ always got it covered for me. I always tell you how much I love the box and the items that come with it. Many of you always get curious and ask me about it... But the sad thing about BDJ is that it's selling like hot pancakes so they always get sold out! That's why BDJ and I teamed up this month to give 1 lucky reader her (or his) own BDJ Elite Box! The products inside all come down to more than Php 4,000! How crazy?! Comment on the video ON YOUTUBE here. Leave your Facebook and Instagram names so we could check if you are really following us. Here's a look I came up with using some products inside the BDJ Elite Box! Giveaway is open for Philippine readers only. 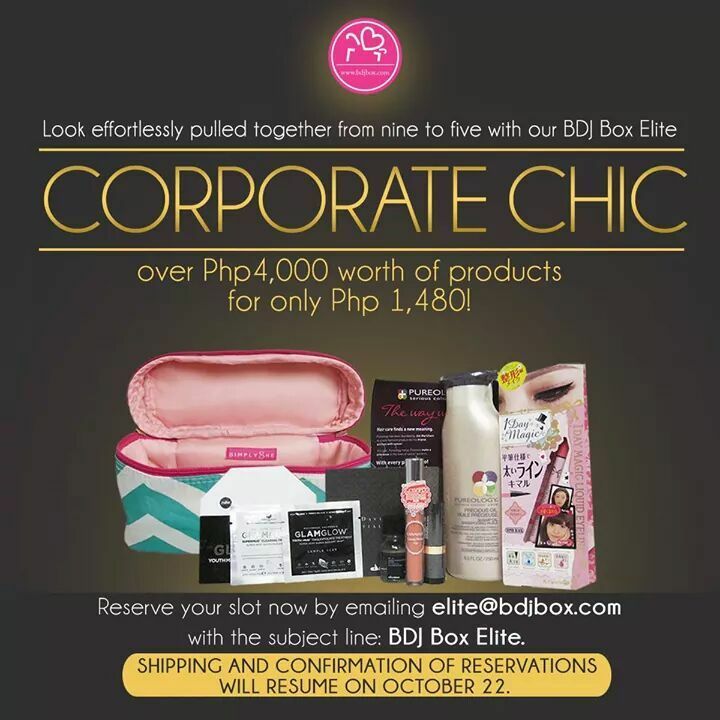 1 Lucky winner will get a free BDJ Corporate Chic Elite Box. Open until November 18, 2014!